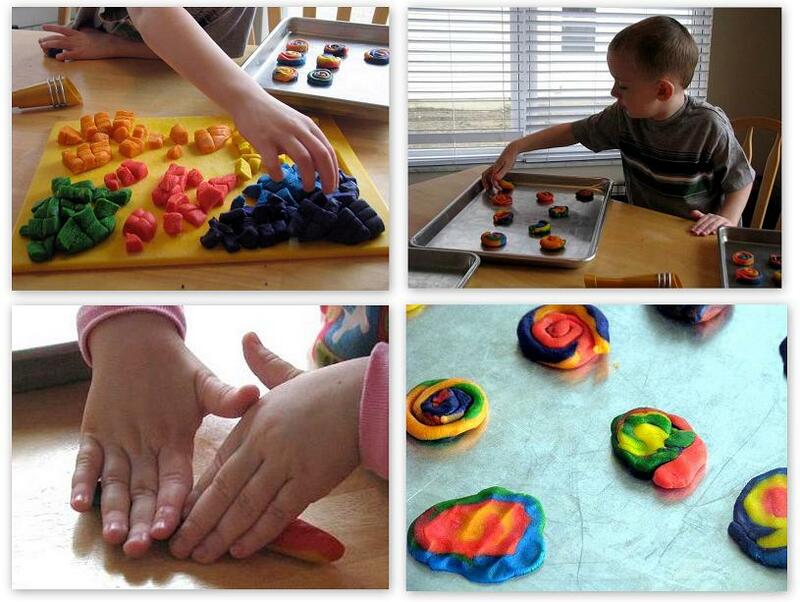 Rainbow cookies, play dough cookies, tie dyed cookies, call them what you’d like…they are FUN to make! Start with your favorite sugar cookie dough recipe. Here is ours. Divide dough into sections and color with food coloring. I like the Wilton’s concentrated paste. You can get it at Walmart and Joann’s in the craft and cake decorating section for about $1.50 a container. You’ll get the most vibrant colors this way. Then divide (cut) each one of those balls into tiny sections. About 3/4″ in squares. The kids loved watching the color “magically” spread throughout the dough as the kitchenaid mixed it. Then take 3 or 4 pieces of dough and press them together in a square shape and roll out into a 6-8″ rope. Roll up and place on an ungreased baking sheet. I let the kids loose to create their own cookies and they had a blast! It was fun to see all of the different color combinations. We baked them @ 400 degrees for 8 minutes. If you are using your own recipe, just follow it’s instructions. Those are so colorful! Looks like the kids had a good time making them! We love making fun cookies like these! Yours turned out so vibrant and fun 🙂 It looks like everyone had a blast. This is such a cute idea! My daughter’s birthday is in August and our theme is Yo Gabba Gabba. I’m going to make these with all the colors of the characters as the favor for parents and kids. Thanks for the pictures! We are still looking for “EVERYTHING GREEN” recipes for THIS WEEK’S CRAVINGS linky party! I would love for you to link up your recipe. This is so creative, i am planning on doing a rainbow themed party for my dd so this is perfect to throw in!! Thank you for the idea 🙂 Your kids are to cute. What a great activity for kids. Your cookies are adorable. I would like to invite you to bring a dish to my Full Plate Thursday. Thank you for sharing and you have a great day! These are so cute! 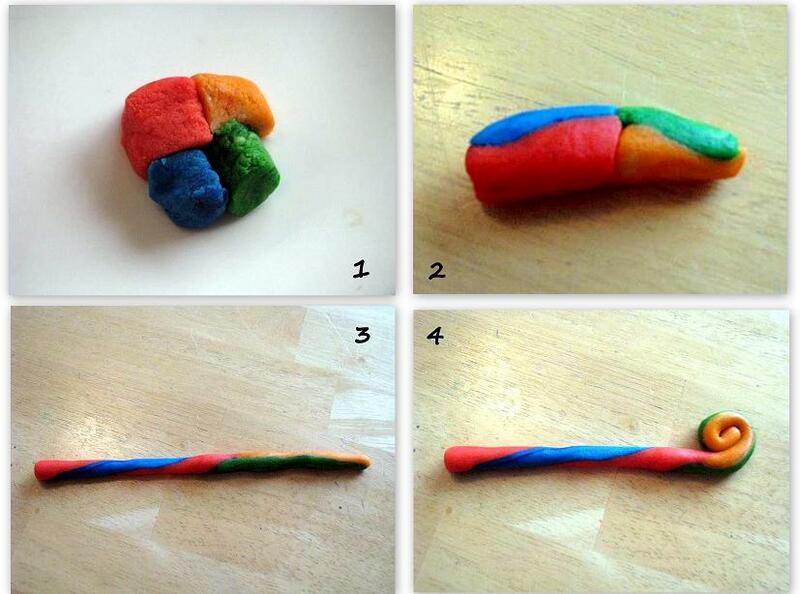 I’ve made rainbow playdough before, but never rainbow cookies. What a neat technique! These would be totally perfect for my daughters lollipop party that we are planning. Thank you so much for sharing this. So clever! My boys will love these!